This is the luxury-level wine of the month club from The Wine Tasting Network. Their focus is cellarworthy wines representing California's (usually Napa) finest red wines. This wine club features wines usually only available directly through the wineries themselves and that are produced in very small quantities. We'd love to see an option for "drink now" wines that don't need to be laid down in the cellar for another 5-15 years. Maybe one of each in each shipment. Greater transparency around how the wines are sourced would also be helpful and we'd like to see a history of past shipments online. We can't find a link to Extreme Wine Club. Please have a look around our site to see if you can find something else you'd like. There are only a small number of truly luxury-class wine clubs on the market today, or at least ones that you can still get into—years-long waiting lists are typical for sought-after wineries and retail wine clubs like the Extreme Club. The Extreme Club focuses on Napa wine, it’s where the company is located and where their business relationships are strongest, which gets their customers unprecedented access to hard-to-find, small-lot, and auction-block wines. Free gift in your first wine club shipment—all of their clubs come with a chrome bottle stopper, foil cutter, and a WineTasting.com corkscrew in a bamboo box, but Extreme Club members also get a set of six full size Bordeaux wine glasses made by Stölzle, a German International glassware manufacturing company. For over 200 years, Stölzle has been recognized as Europe's leading designer, manufacturer and marketer of high-quality, 100% lead free crystal glassware for the food service and retail market. At WineClubReviews.net we take an objective approach to our star ratings system. Our written reviews are very much subjective, based on our 5+ years of wine club review experience and our own ideas about what good wine and good value mean. The star ratings are based on 11 attributes that we feel define what a wine club should be. Here is how Extreme Wine Club stacks up on these traits. WineTasting.com offers a 100% satisfaction guarantee which means, “If you are not 100% satisfied with any wine you have purchased from us, we will gladly exchange the product or issue you a credit.” This type of guarantee is pretty awesome when you’re plunking down nearly $90 for a bottle of wine. The Extreme Club offers the highest quality of wine available. That doesn’t mean you’ll like the way they taste though, so keep that in mind. When we speak of quality, we’re talking about exceptional vineyard management, uncomplicated winemaking designed to showcase the fruit and not the winemaker, and wines that represent the epitomized style of their AVA or sub AVA. We feel the prices for the Extreme Club are excellent. It’s hard to say with certainty if the the retail price was correct to begin with (this is determined by the winery), but WineTasting.com discounts all of their wines for club members. The discounted pricing makes the prices charged for the wine generous, but it’s worth noting they may have been inflated by the winery to begin with. It would be great to see more parity in the price of the wines in each individual shipment. One super-expensive and one modestly-expensive wine can add up to good value, but leaves one feeling like maybe they overpaid for the “cheap” one. We really enjoyed the educational materials that were sent out with our shipment. The Napa Valley booklet focusing on Harvest 2015 was entertaining and beautifully produced compared to materials we’ve received from other wine clubs. The tasting notes for the Extreme Club showed a certain amount of research went into them, but we found all of their text online, some of it harvested from other sites. The Extreme Club offers no personalization. It’s not really that kind of club, but nonetheless, it’s worth noting that you can’t opt for bi-monthly or quarterly delivery. The Extreme Club is not especially unique in terms of the way the club is structured, but it is unusual to find a wine club of this quality that is still focused on delivering value and a 100% satisfaction guarantee. Gifts are meant to give someone an experience they wouldn’t or couldn’t buy on their own—most people don’t indulge in super-luxe wine, so this really is a special gift for red wine lovers. 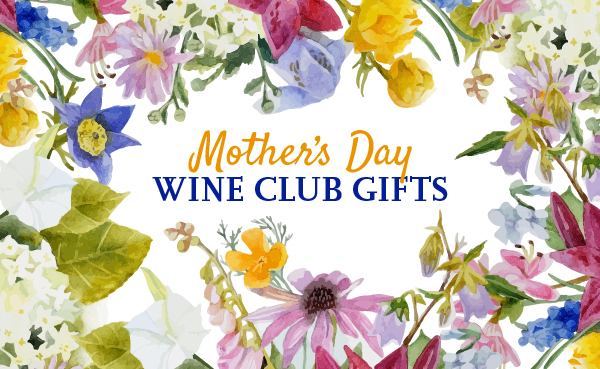 The packaging is attractive and fun to open and the wines are also individually wrapped in tissue, plus your gift recipient is eligible for all of the benefits of membership we’ve discussed above!